As eco-mindedness grows, bike culture is growing nationwide. Here in Mississippi, there's a thriving community of cycling enthusiasts. Whether you're interested in a long trek down the Natchez Trace or a casual trip down the boardwalk on the coast, a bike ride is fun for the whole family. And sooner or later, you’re going to need a new bike, new gear, or some repairs. These are the 10 best bike shops in Mississippi. If you live in the Jackson area and you're into cycling, chances are you've heard of the Bike Crossing. If you haven't, you're missing out. The staff at the Bike Crossing has a real passion for cycling, and they love any chance to introduce others to the sport. They help to organize cycling events in the area, and they're also the only dealer of Cervelo bikes in the state. The Bike Rack is one of the oldest bike shops in the state of Mississippi. It was opened by Jim Ballard and Tom Martin in 1973. The pair of friends still run the business with the same passion for cycling that drove them to open a cycling business in the first place. In addition to their outstanding service and selection, the Bike Rack provides education on bicycle racing, including food and drink and sports medicine tips. Cyclist Choice & Fitness in Gulfport was originally started in 1997 to promote cycling all along the Gulf Coast. 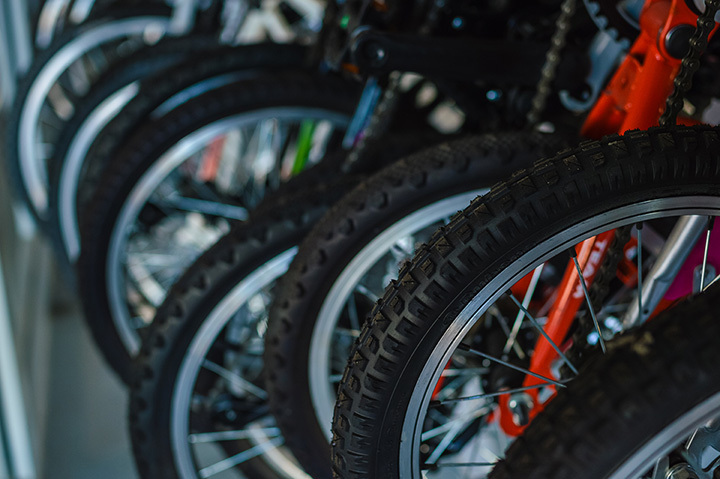 This family-owned bike shop carries a wide selection to suit all skill levels, and they have the largest showroom in the area. In addition to their excellent service and knowledgeable staff, customers get free gear and brake adjustments for life with any bike purchase. The most important thing to look for when choosing a bike is to find the one that fits you best. At Indian Cycle Fitness in Ridgeland, the team uses digital body scanning to find the most precise fit for you. This futuristic process uses lasers to take several measurements, then computers use that data to calculate the ideal dimensions of your bike. And just like that, you're ready to ride! Cycles Plus is a family-owned bike shop that was originally opened in 1979 by Mason Williams. After Mason retired, his son Neil paid homage to his dad's work by opening his own shop with the same name. In 2014, Neil moved his shop from Gautier to Ocean Springs, where it resides today. Cycles Plus stays true to the original owner's vision by providing quality bikes combined with truly personal service. Moore's Bicycle Shop is located on Hattiesburg's popular Hardy Street, near the University of Southern Mississippi. Moore's is dedicated to entry-level and casual cyclists, hoping to bring more people in to riding bicycles as a hobby. In addition, the owner, James Moore, is an advocate for safer streets for cyclists, and he encourages others to be active in local organizations and council meetings as well. Heart and Sole has been serving Eastern Mississippi since 1989, when Butch Gray opened the shop. His shop manager Chris Trayal has been around since the day the store opened, and together the team has more than 65 years of experience riding and repairing bicycles. From custom bikes to lighting, helmets, car racks, and even food and drinks, customers in the Meridian area will find everything they need at Heart and Sole. Bicycle Pacelines was opened in Tupelo by Brian Piazza in 1994 when he saw a need in the area for quality bicycles and expertise in the area. Bicycle Pacelines is also home to the Northeast Mississippi Cycling Club, which coordinates group rides, road routes, trails, and more. No matter what your skill level, everyone in the Tupelo area is welcome to come in and learn more about cycling. Tri-Hard Sports in Ocean Springs is dedicated to all things triathlon. From running shoes to swimsuits, they have accessories for every leg of the race. Their bike selection is impressive, with options from Yolo, Felt, and Scott. Although they focus on triathlon bikes, they also carry mountain bikes, cruisers, and more. Ask about their specials on bike repairs and tune-ups. Have you ever been curious about the relaxed style of recumbent bikes? If so, you have to stop by RideSouth in Brandon. The folks at RideSouth are all experienced cyclists, and they are passionate about introducing people to the safety, comfort, and speed of Recumbent bikes. They see these bikes as a transcendent experience, and after spending a little time in their shop, you'll see why. Still not sure? They offer plenty of upright cycles as well.